The Kira is so nicely made, long-lasting and smooth-running that its flaws can't stop it from justifying the relatively expensive price tag. 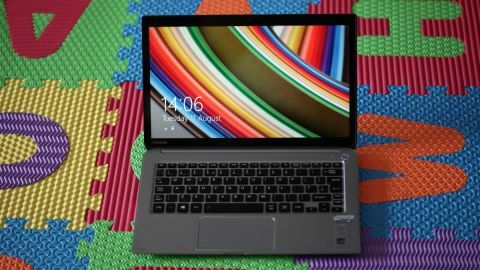 Since the first 2013 model, Toshiba's Kira series of Ultrabooks (sometimes called the Kirabook in the US and other countries) have demonstrated that the company can do ultra-slim, smart-looking and powerful laptops well enough. Yet they've rarely stood out. That's not because the Kiras have been mediocre - far from it - but because the crowd of competitors is huge, and includes some real beauties. Last year's model, for example, had to face off against the MacBook Pro Retina, the Dell XPS 13, the Lenovo IdeaPad Yoga 2 Pro, the Asus UX301, the Lenovo ThinkPad X1 Carbon and the Fujitsu Lifebook U904. The 2015 model has similarly tough competition - the Dell XPS 15, the Lenovo IdeaPad Yoga 2 11, the Asus Zenbook UX305 and the Lenovo ThinkPad X1 Carbon (2015) to name but a few. This model is priced at the higher end of the Ultrabook spectrum, which may well be Toshiba's main error. When products like the UX305 deliver similar performance for a lower price, then looks alone, no matter how finely-featured, aren't enough to justify the price tag. And while the Dell XPS 15 may be £500 more expensive it certainly offers £500 more oomph, so you might be tempted to futureproof yourself a bit better. Open, the Kira is a joy to behold, with a clear black bezel around the screen, clear brushed aluminium on the body, and glossy black plastic keys. Even the touchpad mimics the overall smoothed trapezoid shape of the laptop. As is often the case, the worst things about its appearance are the tacked-on Intel and Energy Star stickers. When the laptop is shut it appears rather anonymous, which is odd considering how pleasant it looks when it's open and powered on. If it wasn't for the large Toshiba logo you'd think it could have made by just about any high-end manufactuer. And, like its larger Satellite brother, the visual language is confusing when the laptop is shut, inverting the normal placement of extra bezelling with the result that I always try to open it from the wrong side first. The Kira is still outrageously slim – the specs list it as 9.5mm thick (19.8mm including its rubber feet), which is only slightly thicker than a Samsung S4 phone or an iPhone. Such delicacy means you really don't want to be bending it or picking it up by the screen; this doesn't mean it's fragile, however, just that it's not a toughbook. Obviously, this isn't a desktop replacement, so when engaged in processor-intensive tasks the Kira gets both noisy and increasingly hot. During benchmarking the central aluminium became hot enough that you wouldn't want to be touching it, and the fan sounded like a swarm of angry bees. Contain your usage to simple web-browsing and email though and it's a happy, healthy little creature with a surprisingly good battery life.